Warning: Going to the mailbox this election season can cause whiplash. I did a double take when I grabbed a flier this week touting the candidacy of Ruben Kihuen for the 4th Congressional District. No, it was actually “targeting” the candidacy of incumbent Cresent Hardy more than anything else. The flier attempts to connect the ambush slaying of two Las Vegas police officers two months after the standoff by a couple of leftist, anti-authoritarian lunatics who showed up at the Bundy ranch standoff with BLM agents but were told by the Bundys to leave because of their “very radical” views. Linking the lunatic Millers with Hardy and/or Bundy is stretching rhetoric beyond the breaking point. 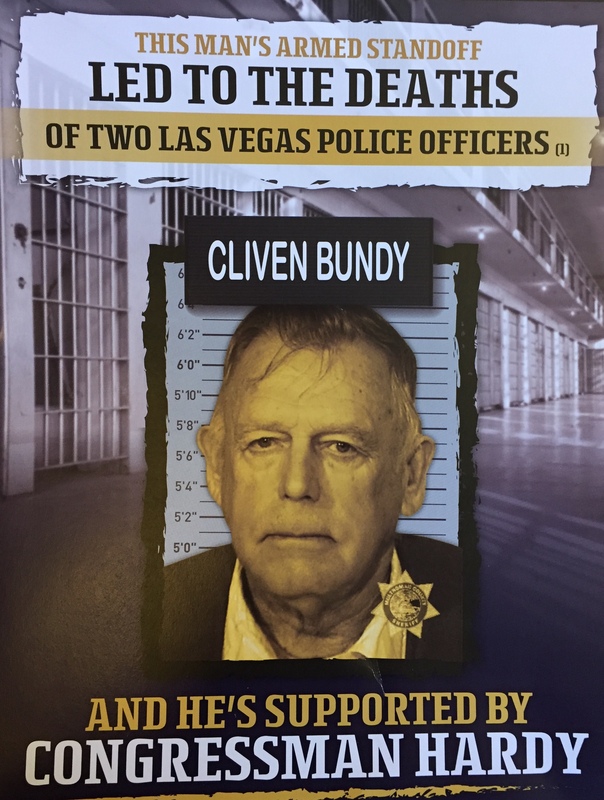 The flier even claims Hardy “stood by” Bundy after he made comments that were labeled as racist, when in fact the very article cited in the fine print as supporting this claim states that Hardy disavowed those remarks. It was paid for by the Nevada State Democratic Party. This entry was posted in Newspapers and journalism and tagged 4th Congressional Distruct, Cliven Bundy, Cresent Hardy, Ruben Kihuem. 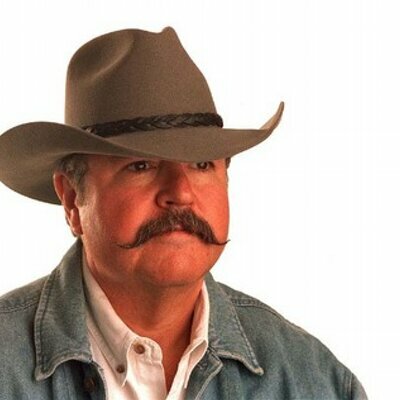 I am not a defender of Crescent Hardy, but he has maintained a very low profile on this issue. Why he has not earned my vote is because of his lack of concern with border issues, which is in lock step with other representatives from Nevada. There is another choice with the American Independent Party. If the left can’t lie, cheat or steal to get what they want it’s not worth having! I go from the mailbox to the recycle bin. Then I find I have only one or two things to take into the house. Kathy Gillespie’s print shop does decent work but her mailers are all one sided! And prolific. Don’t think I’m in that district, but kind of favored Hardy’s opponent till I saw this outright lie. Now I’m not so sure.